GCW Resources / Question / Question of the Day: When will the templaters and installers arrive at my house the scheduled day? Every job is different. No two kitchens are alike and no two customers are alike. Therefore, our schedulers will schedule the appointment in 4-5 hour windows consisting of 8am to 12pm, 10am to 2pm, 12-5. 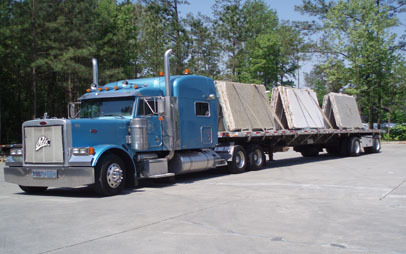 We will always try to call ahead to give you our best estimated time of arrival, but we cannot be precise due to the nature of the previous job and other factors such as traffic, weather and complexity of the job. Please rest assured that we will do our best to get there as quickly as possible.